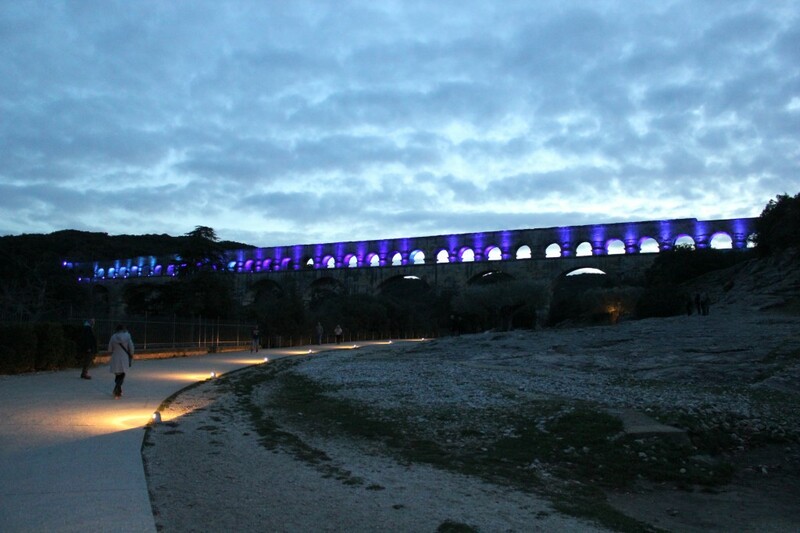 The Pont du Gard, located about 80 km from Montpellier, is a 3 tiered Roman aqueduct built in the 1st century A.D. 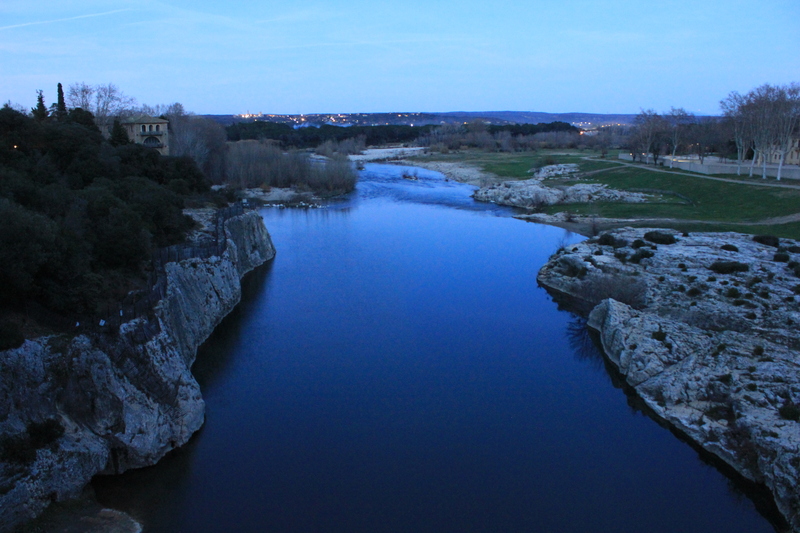 Since it was on our way home from Avignon, we decided to stop there and check it out. 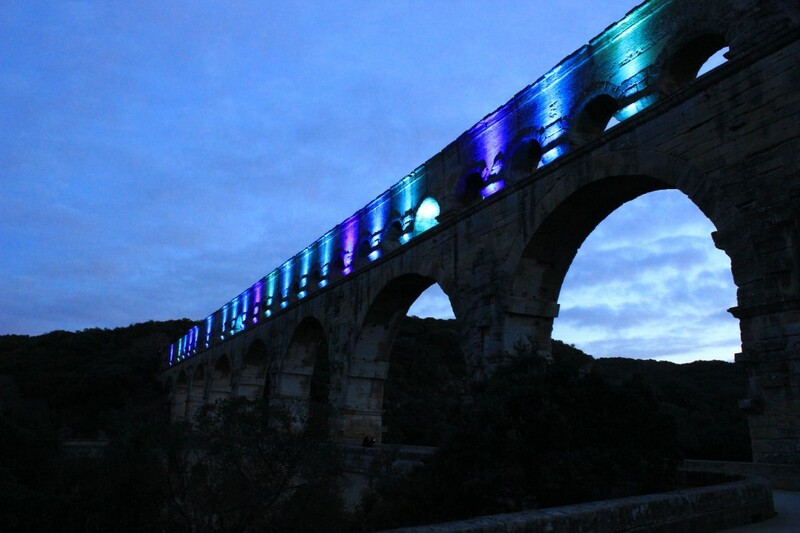 It was getting to be late in the day and we arrived at dusk, which turned out to be a pretty cool time to see the Pont du Gard. 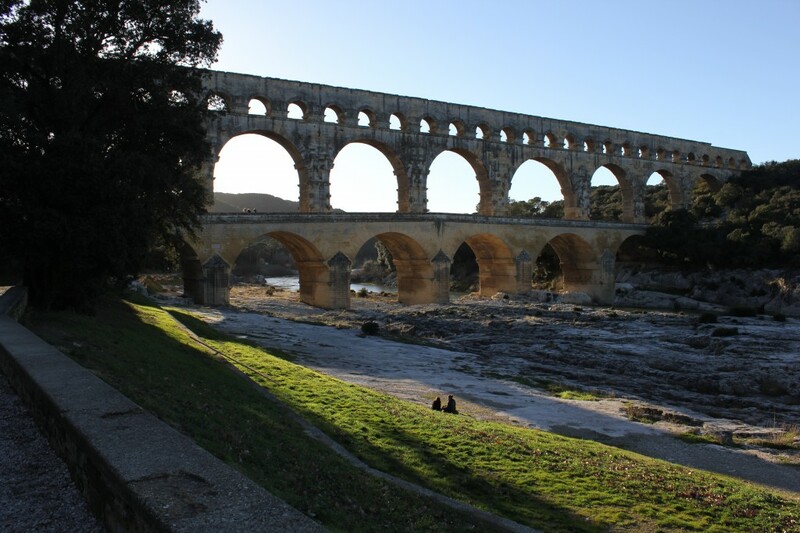 We had heard about the outdoor concerts under the bridge during the summer, but until we got there, we hadn't realized that the Pont du Gard is actually a UNESCO World Heritage site with walking trails, a river you can swim in, little shops to browse, and a cafe to grab a bite to eat. 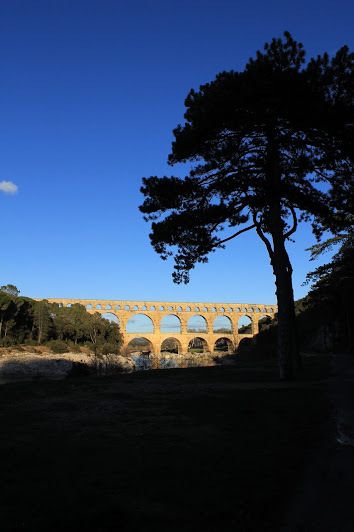 We decided that we'd have to come back to see the bridge during the day and spend an afternoon walking and taking in the gorgeous scenery of the region. 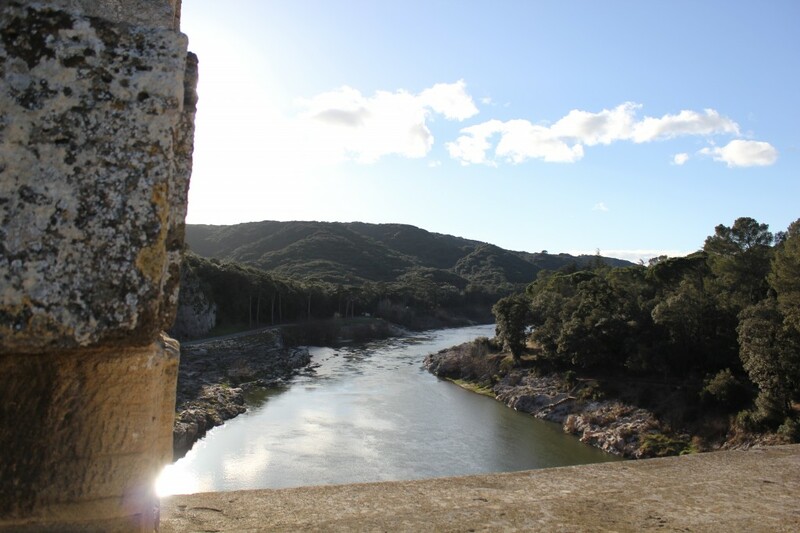 A few weeks ago, we had a perfect winter day in the south of France. Bright, sunny and mid-50s with clear blue skies. 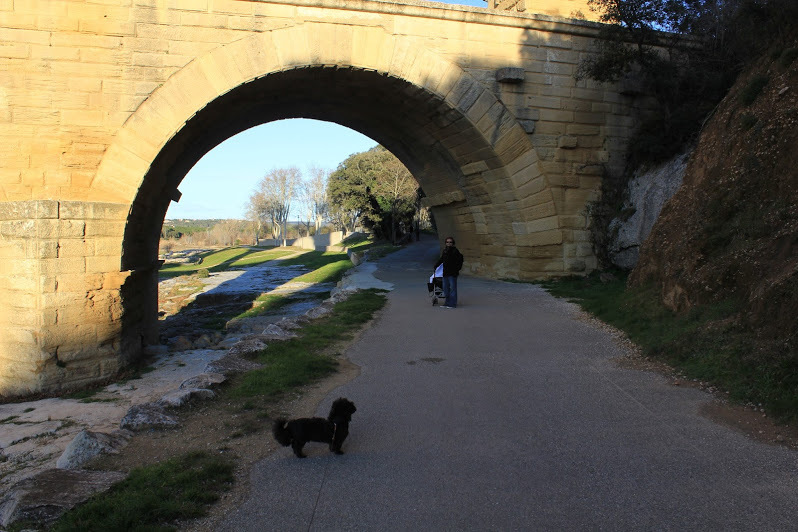 We decided to head back to the Pont du Gard with Ramona and Figgy to spend more time exploring this ancient ruin. 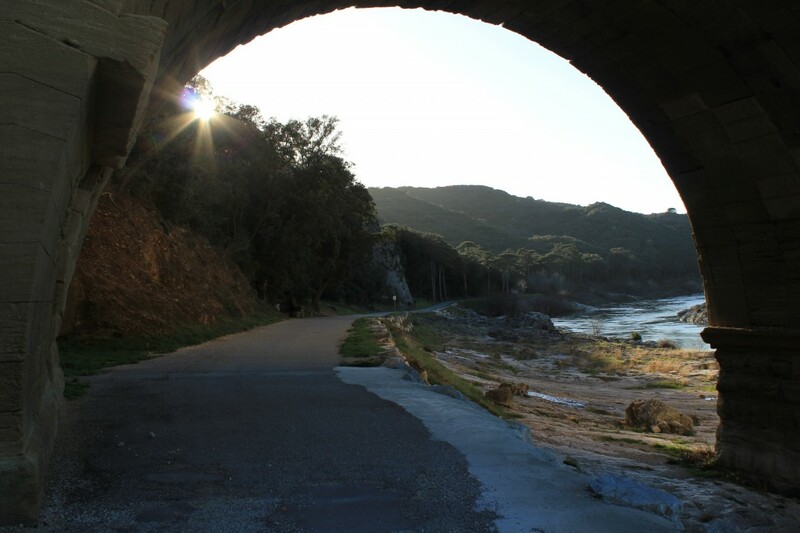 We walked through the woods, down a paved path to the bridge, filling our lungs with the crisp, fresh air. 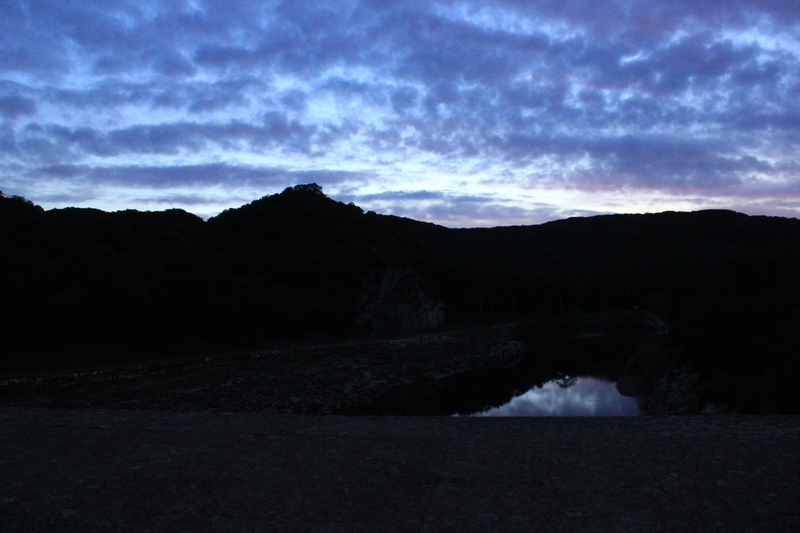 It was so nice to be out in nature. I caught a whiff of eucalyptus and teared up. It smelled like California. 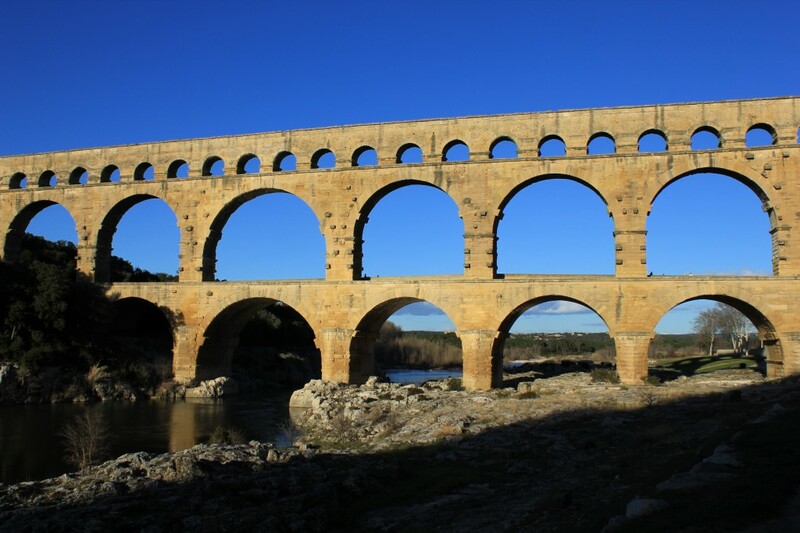 The aqueduct was once a critical link in the series of canals that brought water from the Eure spring to Nîmes all the way into the 3rd century. 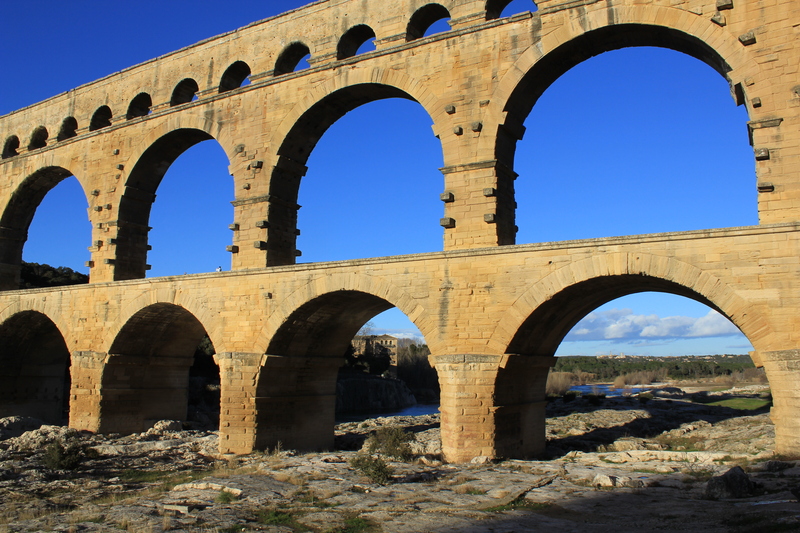 Although the aqueduct served some function into the 6th century, it was largely abandoned and used primarily used as a toll bridge to cross the Gard River. 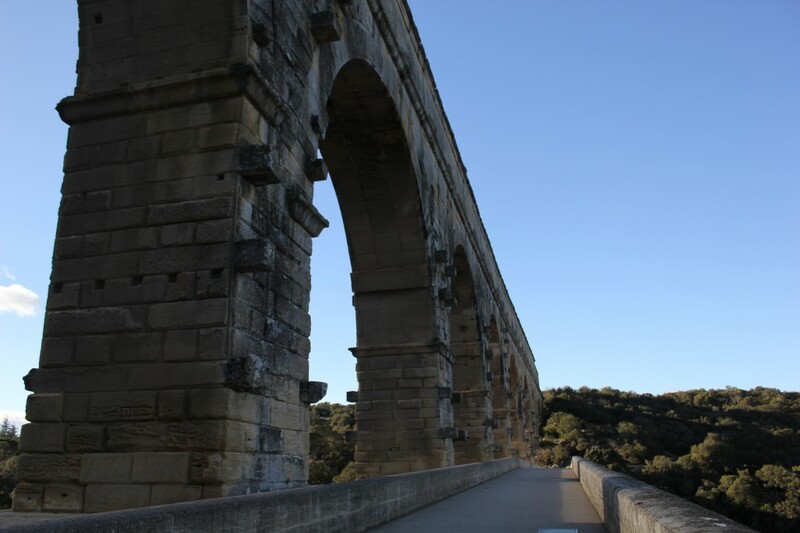 It took 15 years to built the 35 arches and 275km upper tier of the aqueduct but the road bridge that you can walk across wasn't completed until 1743. 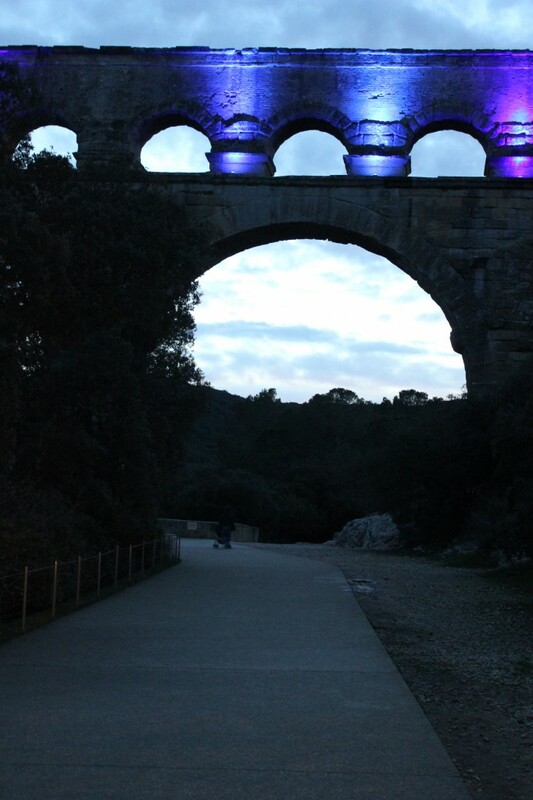 It was really cool to see the the bridge and surrounding area by daylight. 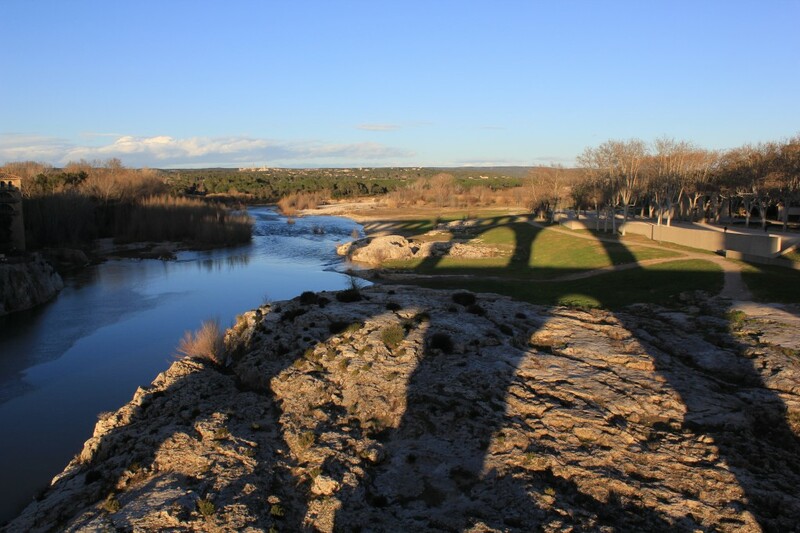 The sun bounced off the bridge reflecting golden light all across the riverbeds. 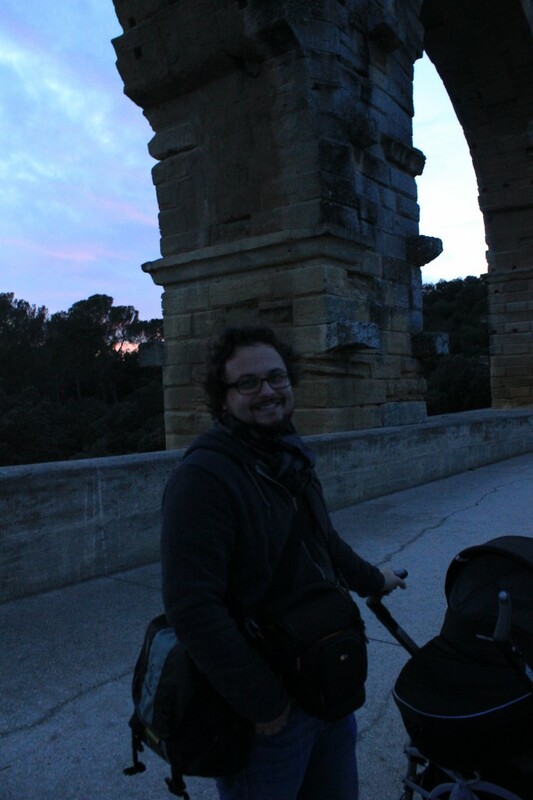 It turned out to be quite windy on the bridge and Ramona got really fussy in the Bjorn. 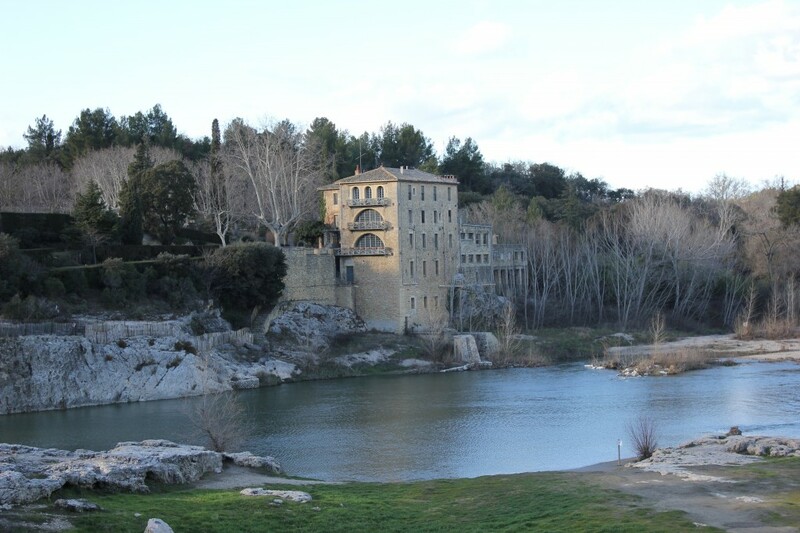 We contemplated heading back to the car and calling the trip a bust, but I was desperate to not only be out of the house, but also out of Montpellier! I sat on a bench to give Ramona a quick snack and we moved her into the stroller where she fell asleep. 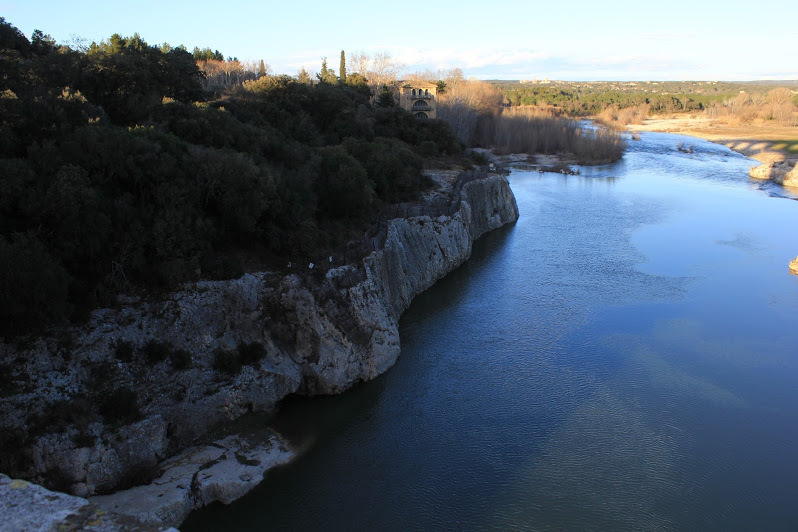 We were able to continue on through one of the trails that runs alongside the Gard River. 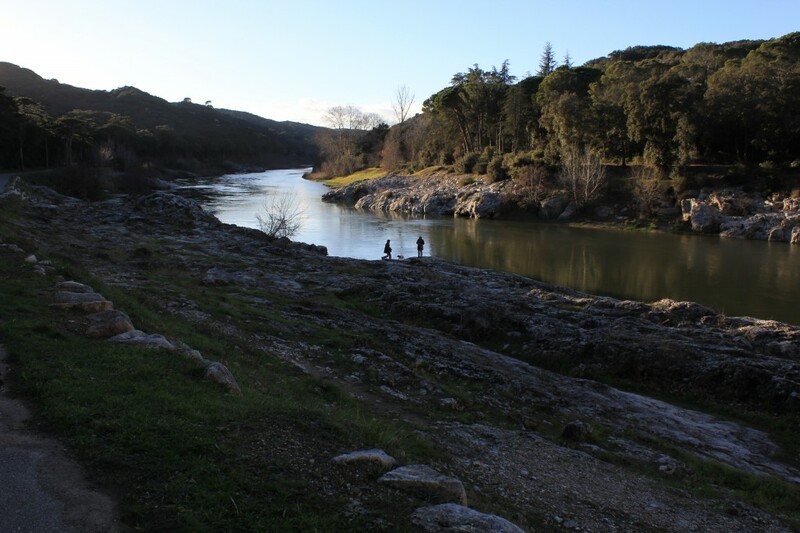 It ended up being a really nice day out with nature and fresh air. 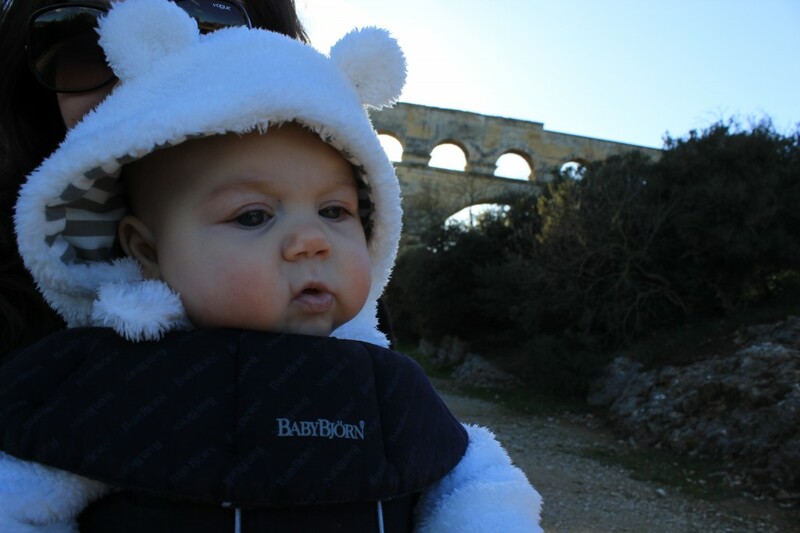 I'd love to come back here sometime when Ramona can spend the whole trip in the Bjorn so that we can explore some of the more "rustic" trails that weren't possible with the stroller. 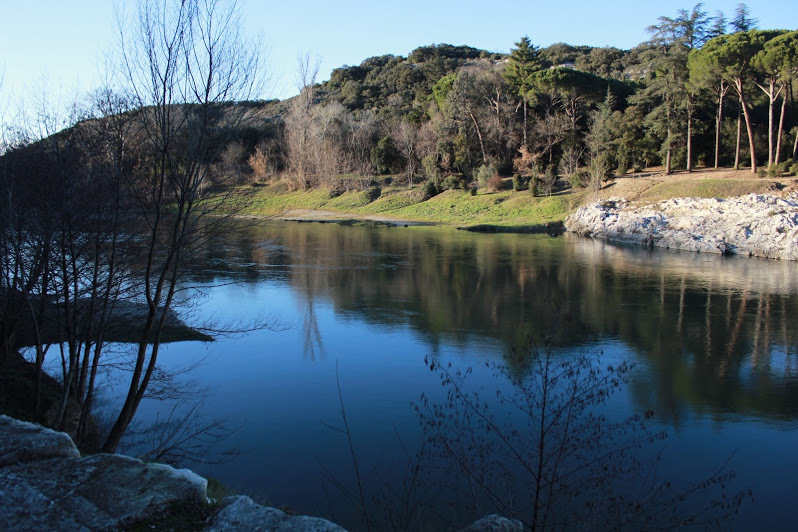 I'd also love to go for a dip in that river! It has been such a treat to read of your adventures. 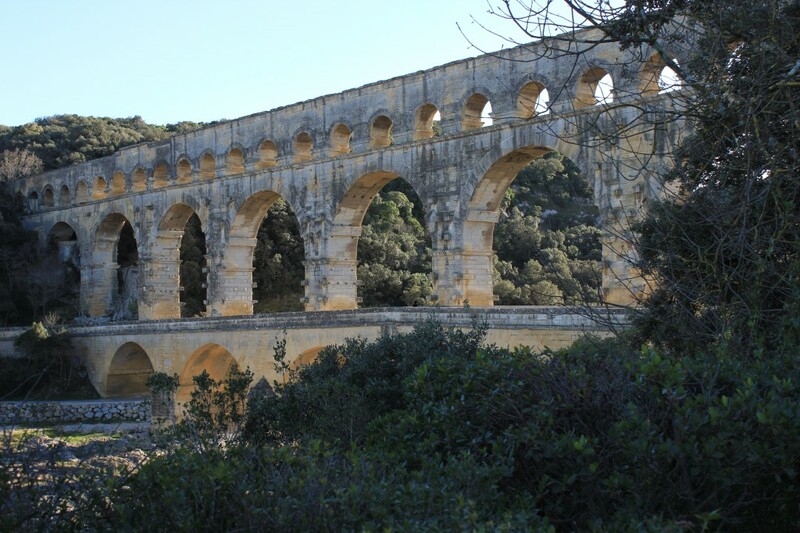 What a fabulous experience for the 4 of you to have traveled Europe in such an extensive, yet leisurely manner. Thank you for sharing your stories and photos. It is wonderful that the entire family got to visit such a beautiful place. 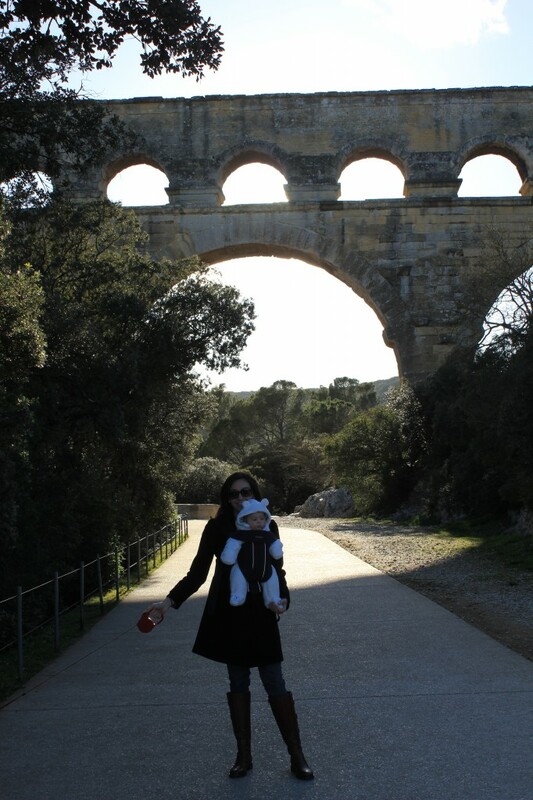 I can tell by all the wonderful photography that this trip was especially enjoyed by mommy Micholic. Katolisista vielÃ¤, ettÃ¤ he ovart hyvin johdonmukaisia elÃ¤mÃ¤n puolustamisessaan.He vastustavat, aborttia, eutan asiaa ja kuolemantuomioita, missÃ¤Ã¤n katolisessa maassa ei ole kuolemantuomiota.Evankeliset kristityt (nÃ¤mÃ¤ pohjautuvat usein Calvinin oppeihin) ovat kaksinaamaisempia, he vastustavat abortteja henkeen ja vereen, mutta usein kannattavat voimakkaasti kuolemantuomioita.Tasapuolisuuden nimissÃ¤ voidaan sanoa, ettÃ¤ me liberaalit ateistit toimimme pÃ¤invastoin vastustamme kuolemantuomioita ja kannatamme vapaata aborttioikeutta. Oh I love this. You’ve seen some amazing sites, my dear!